Concrete Grading is a process of preparing the ground which involves cutting sod out (if there is sod) and getting a rough base upon which you will set your concrete forms. Determine if the ground is stable - Unstable ground is muddy, spongy (this includes having sod on the area), or frozen. If any of the area is unstable in these ways, you need to remove those unstable section(s). Determine Access to your patio - Access to your patio determines what equipment you will need to prepare your ground. There are various types of equipment that can help you prepare the ground. Choose one of these four and then remove the bad ground. Skidsteer - Only use this if you are willing to compromise the rest of your lawn that the skidsteer will drive over to gain access to your patio. This is generally used most often in new construction (before sod has been layed) and larger projects. Walk-Behind-Skidsteer - You can rent this. It is generally used on projects such as this because it is only 3 ft. wide and can access smaller areas without ruining your lawn (under normal conditions). Sod Cutter - You can rent a gas or manual version from a rental shop. The manual one is more labor-intensive, but if you wet your yard first, it will soften the soil and make the removal easier. The gas version costs more to rent than the manual, but you can set the depth on how thick you want the sod removed (2" is generally the maximum). It is important to note that a sod cutter only removes sod, and it will not remove muddy or frozen ground like a skidsteer would. You may need to shovel out additional bad ground after the sod is removed. Shovel and Wheelbarrow - This is the most barbaric method - but it is do-able if you have a strong back. Replacing the Bad Soil with Fill - You need to do this so that a rough grade is achieved to set-up your concrete forms. Since the scooped out sections are not level with the ground, you need to fill them up with class 5 gravel or fill sand. You can get this fill by either calling a local landscaping business or a gravel and sand pit business. These businesses typically will deliver the gravel to you, but to save money, you can also go pick it up and have it dumped into your pick-up truck. The next step to pouring a concrete patio yourself is to set-up your concrete forms. Don't want to take this project on yourself? 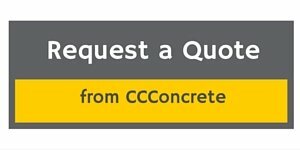 If so, and you live in the Minneapolis and surrounding suburbs area, request a quote on your concrete project.